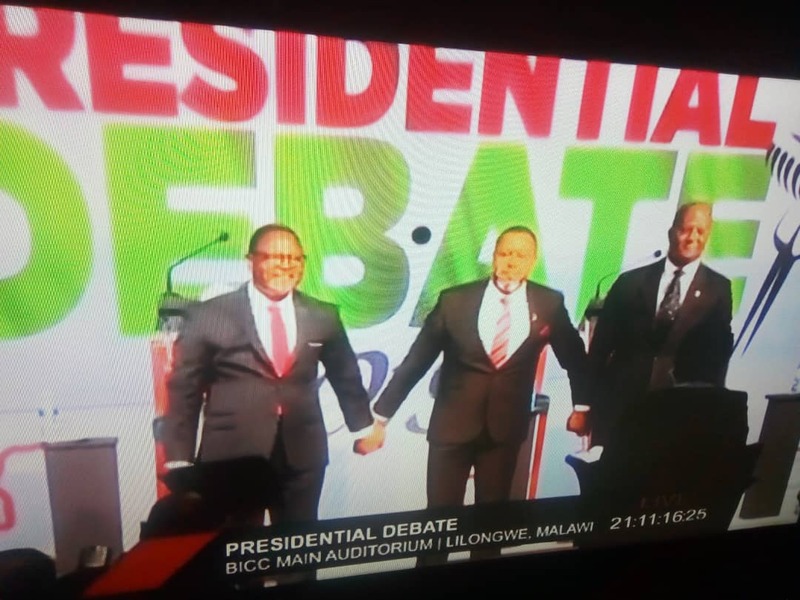 UTM’s presidential candidate, Dr. Saulos Chilima, outclassed MCP’s Reverend Dr. Lazarus Chakwera and UDF’s lost boy Atupele Muluzi at the debate held at Bingu International Conference Centre (BICC). The debate which had several themes including agriculture, corruption, education and health was followed by millions of Malawians on radio, TV and social media platforms. From the outset, Chilima clearly showed that he went to the debate with one goal; to articulate UTM’s agenda for the country. He was focused, clear and answered the moderator’s questions with so much ease. The contents of his answers were well structured and left everyone listening with satisfaction. Chilima was so presidential and showed that he understood the seriousness of the occasion. The most disappointing participant of the debate was Atupele Muluzi. Son of former President Bakili Muluzi and current Minister of Health, Atupele was a shadow of his former self. His performance was fifty times worse than in 2014. In this debate he showed that he is a lost man who doesn’t know what he stands for. Muluzi seemed to have gone to the debate with a strategy to attack the other candidates, a fair objective in a political debate. However, his performance in delivering his objective was like that of a dull boy who brings likasa to the exam hall but fails to know which mathematical formula to use on which mathematical problem. In order to impress the examiner, the boy just throws formulas on any unrelated problems. It was embarrassing to watch and despite strict rules not to shout and boo, Atupele was the only candidate who was booed several times. The moderator had to come to his rescue on all occasions. Atupele claimed that he had read the MCP and UTM manifestos before the debate and said that what Chakwera and Chilima were saying in response to the moderator’s questions was not in their manifestos. Despite coming to the debate to represent UDF, his family’s party which has not unveiled its manifesto if at all it exists, he kept repeating this line. What poor Atupele didn’t understand is that the candidates were at the debate to answers questions and not recite their manifestos. It’s obvious that you can’t just recite your manifesto without reference to the given questions at the debate. Besides, a manifesto doesn’t contain everything. It’s a brief outline of what a party aims to deliver if elected. One of the most embarrassing reference to the UTM manifesto which Atupele claimed to have read was that UTM has promised one million jobs from agriculture. He said this when Chilima said that UTM will promote mechanization of agriculture. In Atupele’s intelligence, mechanization of agriculture will kill the same agriculture jobs that UTM claims it will create. On mechanization of agriculture and loss of jobs, Atupele is just being short sighted and ignorant. Agriculture is a big industry and is related to many other industries. The first goal is to increase agriculture production through mechanization and making farm inputs affordable. Increased production means increased economic activities in other sectors like value addition which also employs many people. Chilima even outperformed Atupele on questions related to health with Atupele mostly just praising his subordinates in the Ministry of Health, a good thing to do but not a response to the questions the moderator asked. His performance could explain why he came back from the United Kingdom claiming that he is a qualified lawyer, yet he just came back with very good spoken English. MCP’s Lazarous Chakwera looked very tired and a little bit scared of the debate. He was out of depth and looked like someone put where he doesn’t belong. Although he managed to answer some questions correctly, he lacked confidence and spoke like someone who just memorized some talking points but doesn’t actually know what he was talking about. He also lacked charisma. Very few listening to Chakwera would change their mind to vote for him. In my opinion, Chakwera is a good man who doesn’t have leadership credentials for a president of the country. He would be better back as President of Malawi Assemblies of God.